With Ramadan coming to an end, Muslims around the world celebrated #Eid al-Fitr by wishing their friends and family #EidMubarak on Twitter. [blockquote cite=”Twitter”] During the month of #Ramadan, there were more than 215 million Tweets discussing topics such as #iftar, #suhour and #prayers. 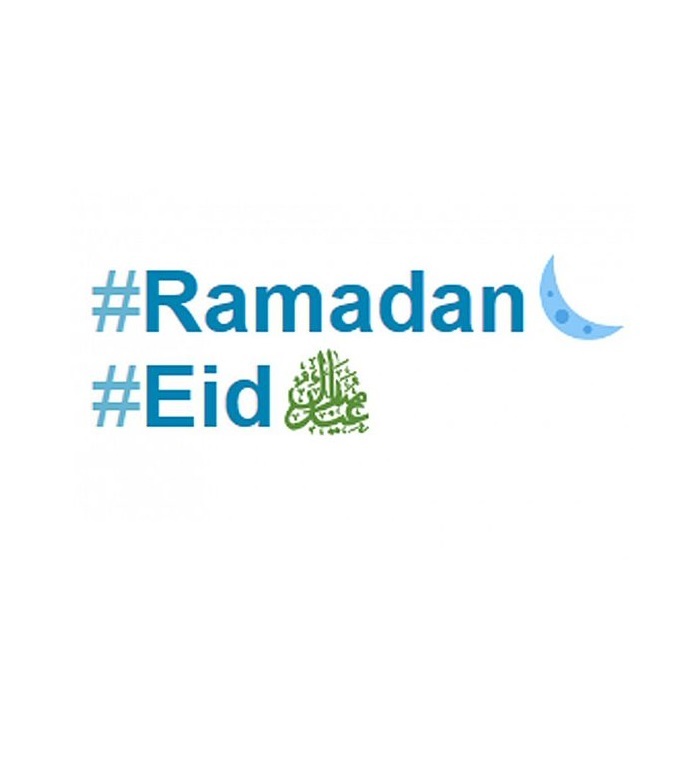 Hashtags are an important part of twitter, these hashtags helped twitter users in celebrating Eid and connect with others who are celebrating across the world, too. People used hashtags like #EidMubarak, عيد_سعيد or عيد_مبارك to wish their family, friends, neighbors, country fellows and people all around the world. 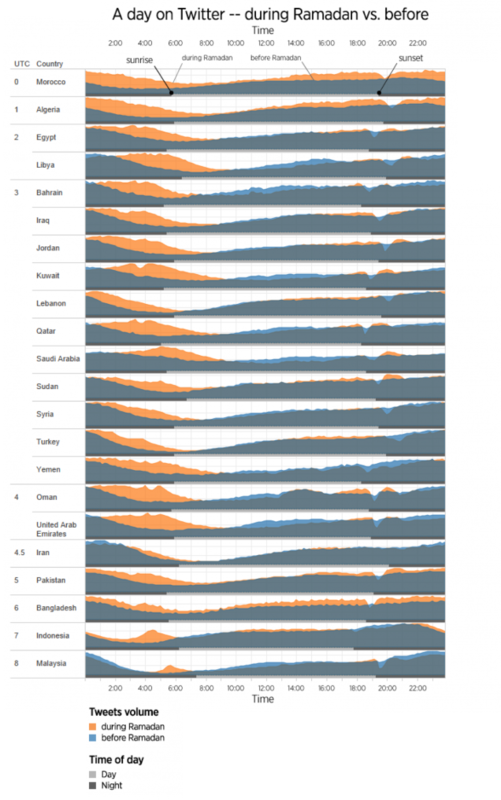 Looking at the data in predominantly Muslim countries, it has been noticed that the volume of Tweets dropped sharply after sunset and rebounded shortly afterwards. This is likely due to the times for breaking the fast and eating; people went offline to spend time at the meal with their families. Several countries saw Tweet volume peak around sunrise (such as in Saudi Arabia and Malaysia), near the time for Suhoor (the pre-dawn meal‎ before fasting) and Fajr prayer. This Twitter data shows us how Ramadan is being celebrated around the world, and how patterns of the community have similarities across countries and cultures.